How we do business today has changed dramatically since the advent of the Internet. No longer do employees need to be in the same room to get things done. Many businesses are shifting towards virtual workspaces, thanks in large part to a relatively new addition to the professional world — social business software. Intentionally or not, the Internet has always been about communication. When email first became available for use in the 1980s, it was met with much praise from businesses and individuals alike. Conversations could be had, strategies could be devised, and issues could be remedied, all without the need to pick up the phone or go to the post office. Soon after email caught on, so did websites, allowing businesses to create a central hub of information for clients and customers to peruse at their will. Forums and chatrooms followed, both of which paved the way for social media sites like Facebook and Twitter. It's also important to mention groupware and information silos, both of which had a major impact on the business community when they were introduced. Groupware can be viewed as a precursor for social business software, as it allowed employees to schedule meetings, distribute newsletters, and share certain types of documents. As with information silos (which cannot communicate with other information management systems), groupware lacks many of the features that make social business software so enticing. Improvements were necessary and bound to happen. And they did. While all of the aspects of the Internet listed above helped drive virtual communication (and are still used today), they're simply not enough for many businesses to operate at peak level. Day-to-day operations can be extremely complex, especially for larger businesses with many employees. Enter the concept of the social business software platform, which many believe to be the future (the future is now) ... of how businesses handle internal communication and get things done. Social business software can be difficult to define, as no two platforms operate the exact same way. There are many variations and names associated with social business software ... such as social intranet software, team collaboration software, enterprise social networks, etc. At the simplest level, these are web-based applications developed specifically to handle communication and collaboration between employees in a virtual manner. Employees log in just as they would if they were logging in to Facebook or Twitter, after which they are brought to a central hub. Depending upon the scope of a company's social platform, there may be a variety of workspaces for different departments ... or one large community to peruse. It feels inherently familiar to anyone who is used to the major social media sites. Social media caught on for two simple reasons. For one, it allows us to connect with friends, family and colleagues in ways that save both time and energy. Not only is social media efficient, but it's also very easy to use once you get the hang of it. It should come as no surprise that the principles of social media are perfect for businesses looking to have their employees communicate in a quick, efficient manner. There are many types of businesses that benefit from having intranet software, although usage tends to fall within a few categories. Many companies use social business, or intranet software, because their employees live in different parts of the country ... or they are located internationally. In this scenario, a social platform can make working together much easier than it might be otherwise, as documents, communication, etc. are all located in the same place. Social software is indisposable for companies with 2 to 2,000,000 people, because it streamlines communication and day-to-day tasks. In a situation where one might feel like cog in a wheel, social intranet software can go a long way to humanize things and make people part of a larger goal. How Social Business Software Works. While every social business software platform, intranet portal, collaboration space differs, they tend to follow similar principles. These applications can either be hosted by your own company (self hosting), or they can be hosted by a third-party (software as a service - SaaS), the latter of which is most common. Features vary depending upon the software, although social platforms usually come with chat and messaging, document management, activity streams (much like Facebook's news feed), and the ability to publish content in many different formats, whether it be in blog posts, articles, wiki documents, photos, videos, etc. Think of it as a social network that serves the sole purpose of encouraging employee collaboration, communication, and content creation. A social intranet is the perfect platform for employee collaboration. For companies that employ people who work remotely, getting everyone in the same room to collaborate is almost impossible. A company intranet is a virtual office, where employees can communicate and collaborate on projects as if they were sitting next to each other in the same room. Collaboration may be the cornerstone of social intranets, but it's just the tip of the iceberg. Larger businesses find it an excellent way to streamline sales and marketing, as these departments can create their very own workspaces within the larger intranet and share documents/strategies without having to be in the same room. When used for external purposes, intranet software can help to take customer support to an entirely new level, allowing businesses and their customers or clients to communicate and share information in a central location. As one might expect, this has an extremely positive effect on customer retention and loyalty. Perhaps the best feature of social business software is that it helps to further productive communication and knowledge sharing. This often gets lost in email and other forms of virtual back and forths, as they lack the centralized nature associated with an intranet. The Elements that Power Social Business Software. This is the center of the social business ecosystem — real people, humans — a community of people that is part of or somehow related to the business in some way. These could be employees, customers, partners, vendors, potential customers, etc. This is unlike the traditional top-down hierarchy and more like an intertwined web (or a social graph) of humans. This "social graph" of people is how everyone is related to each other ... and this is where the business is done, usually based on what is happening "now," rather than waiting for orders or instructions from the "higher-ups." The community, and the people that make it up, have many shared values in that they all (typically) want or want to give positive outcomes or solutions for the benefit of the greater whole. The community gives a connectedness and accessibility to everyone. The "control" of this type of business system is distributed, so that decisions can be made faster, or as fast and efficient as possible, and as close to customers or partners or vendors or prospects as possible. 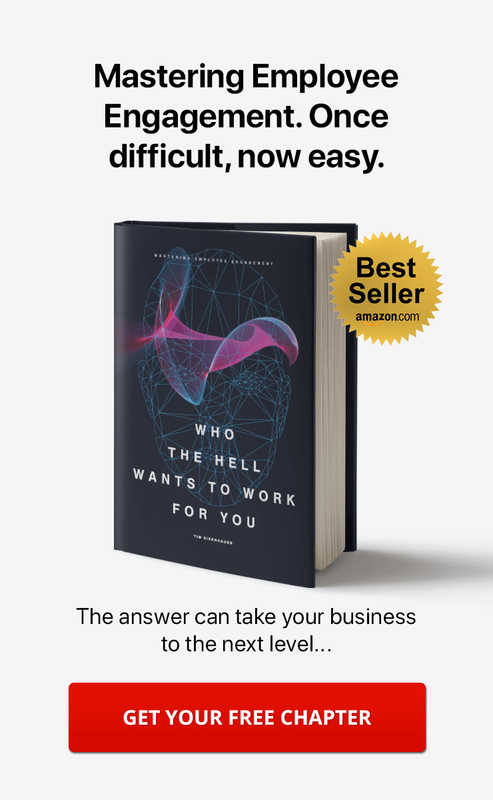 This is the DNA of the business, humans, and how they are connected and empowered. This stye of structure usually leads to an adaptive behavior … it leads to creativity … it leads to better employee engagement ... because it give people the freedom to make their own decisions, to set their own expectations, to set others expectations on them ... ultimately based on best practices or common sense. This is where people in the community are connected in real-time and asynchronous. They could be chatting real-time over instant messenger or through a real-time commenting system, one-to-one or many-to-many. Or, it could be through asynchronous tools ... through ticketing systems, forums, comments, like buttons, rating buttons, wall posts, etc. It’s how people communicate with each other to solve issues or create stuff. Social business provides easy and open ways for people to discuss, share, and participate in the managing, controlling, planning, reacting, and helping the business and its customers, partners, etc. The conversations are typically where most of the work is done, it's often a rich collection of ideas, solutions, expertise, and knowledge that becomes searchable and contextualized. Collaboration ties in closely to conversations, but collaboration in social business tends to be facilitated based on the tools available ... and how people use these tools to work together to achieve business benefits or common goals. With social business software, collaboration is synchronous, with online meetings, instant messaging, or video conferencing, etc. Asynchrounous collaboration is also there, with workspaces where data is shared and available, through comments, wiki pages, blogs, annotations, etc. Collaboration tools break down the location, time, and organizational barriers. These tools eliminate the "broken" email systems, where information gets siloed, walled off, or completely lost all together. These tools reduce and often eliminate the need for unnecessary "catch-up" in-person meetings and/or phone calls, too. Since humans are social in nature, collaboration tools facilitate these people to work together in a more organized way. Empowered people are more productive, more engaged, happier, and they feel a higher sense of ownership. People working together have a shared purpose, they are usually aware of this. It creates "team dynamics" and "group dynamics." When people collaborate with each other, they motivate each other -- because they rely on each other to reach a common goal. With the right tools, they self-organize and set their own goals within their groups. It helps people make better choices, since "two heads are better than one." Collaboration entices more sharing, and in turn entices more sharing, and more sharing, and even more sharing. It causes people to reflect on their own work (because other people will see it) … and it causes people to reflect on others work and essentially provide feedback to make such work better. Communication, conversations, and collaboration typically revolve around "content." When humans work together to produce an outcome, some type of content is created. Whether its a video, a photo, a Word or Excel document, a wiki page, a task in a task list … most knowledge workers create, manage, capture, share, and consume content. Social business software allows for content creation, as well as sharing, building on, and consuming content. But the best thing is that social business software allows you to put this content into "context." It organizes it in a logical way, by tagging, based on the location where it's published within the community, based on who created it, based on the project its being created for … so its easier to find, and the context of where it fits into the larger whole is easier to understand once its found. Discovering content is also a benefit ... because any new content or conversations pass through peoples activity streams, tickers, and notifications. Rating, like buttons, view counts, and comment counts aid in this contextualization because people are able to filter content based on these aspects. And when the logical discovery of content isn’t enough, the search mechanism will be able to track it down. Most businesses, regardless how social or not they are, need to have some type of control. But, keep in mind that most businesses are over-managed. When creating a social business, you need to have, or at least think about having, a more open-management style ... and give people the power to deliver. Now, regardless of whether businesses are over-managed or not .... businesses still need to maintain some type of control of what's going on ... this might be due to the law, regulatory concerns, ethical, or whatever other constraint society creates and says that we have to live and work by. Plus, stuff has to get done. Control, in social business software, allows "the higher ups" to have an understanding of what's going on, what's being done, how its getting done, who's doing it, who stands out, who rises to the top. This allows them to keep things in check and step in when necessary to help or guide people. Some information or projects might be secret or sensitive and can only be seen by certain people or certain groups of people … and the right social business software gives that "control" with permissions, moderation, and the ability to choose which is public information or private information. Social business isn’t about giving up total control and allowing things to go haywire … because the tools you use provide the framework for setting up the security, workflows, and processes you need to run the business and get positive outcomes. These are the elements, but don't get confused. Now, dont confuse these "elements" with the complete solution to all your business problems. How you implement and use these tools is also half the battle. But putting them in place now, rather than later is only going to help. "Despite being a denizen of the digital world, or maybe because he knew all too well its isolating potential, Jobs was a strong believer in face to face meetings." Steve Jobs was a strong believer, and I can't argue against it. Face-to-face conversations are the most valuable collaboration possible. But when you have people working together from all over the world, social business software facilitates this conversation in the best way possible. When you tie these elements together, use them, and align people with your ultimate business goals, it leads to a more productive, cohesive outcome. These elements greatly increase and lay the foundation and opportunity to create greater "bonds" and more authentic relationships between people at work ... which leads to the achievement of strategic objectives. If you stick with email, text messages, stand alone wiki systems ... bonds can't be created because there is little context, information gets lost, and people loose interest. Without embracing these social business tools, distrust, negativity, fear, uncertainity, and doubt are more likely to occur. And no business needs this kind of emotional rollercoaster. The Typical Uses Cases of Social Business Software. No matter what industry umbrella your business falls under, social business software can be used in many ways. Social business software is most often used internally for team collaboration, allowing remote workers a central space to discuss and handle projects. Externally, it can be used for customer support, building a knowledge base, and for social networking and community building around a certain topic or interest. What often goes overlooked is that this type of software can have far-reaching effects that influence the future of your business. As a company experiences growth and change, its social platform will reflect this. Now, use cases for this type of software shouldn't be limited to the 6 I just mentioned. There are possibly hundreds more when you dig into each one of them and break them down even further. 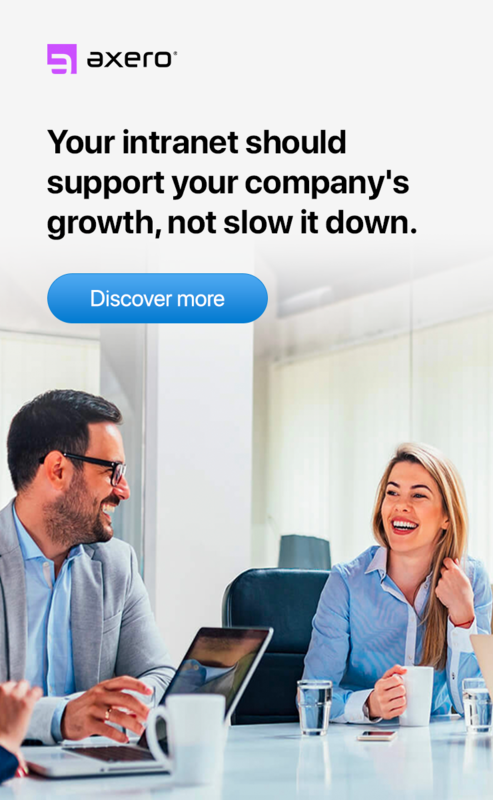 Implementing a social platform can serve as a path for growth that your business can improve from, which is why it's just as important to consider the future as it is the present. How to Evaluate and Choose Social Business Software. An important thing to keep in mind is that not all of these products are created equal. There are a great deal of options to choose from, some of which can be described as "one size fits all." This is almost always a bad option, as your business can grow and change at any time, and these platforms cannot be updated. Businesses need software that will grow with them instead of outgrowing the software. Companies that offer one static social business software often try to shoehorn customers into believing they need a pre-packaged intranet that offers extreme ease of use ... but there's no reason to think that a flexible platform can't provide this. When searching for the right social business software, look for a platform that allows for easy and fast customization. 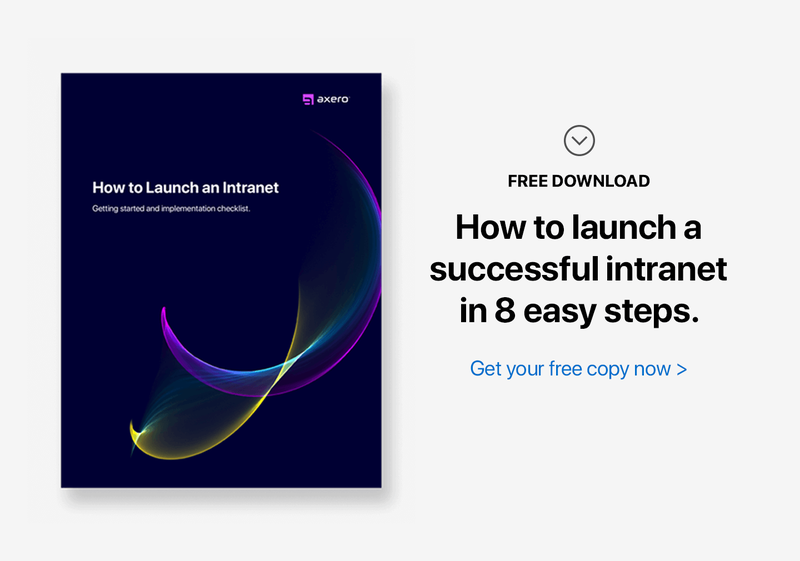 This will allow you to inject your business's branding and "feel" into your intranet , as well as give you the opportunity to switch things up down the road if anything changes. The best option is to work with a software company that takes a personal approach to creating your intranet. The Future of Social Business Software. While social business software makes use of concepts that have been around for some time now, it's still relatively new to the online world. Social business software has yet to reach a true peak, which has advocates quite excited. As time goes on, social business software ... or intranet software, or collaboration software, or whatever you want to call it ... will no doubt continue to go through a process of evolution. Functionality will improve and grow as new technology pops up, and the internal/external uses will likely become more intertwined with each other. But most important, social business software use will increase among businesses in a variety of industries. It may be most commonly used in the professional sector at the moment, but it's fair to predict (and we've already seen it) that restaurants, retail stores, and other businesses will commonly use social intranets at some point. After all, a business doesn't have to be comprised of people working remotely to be a candidate for a social intranet. 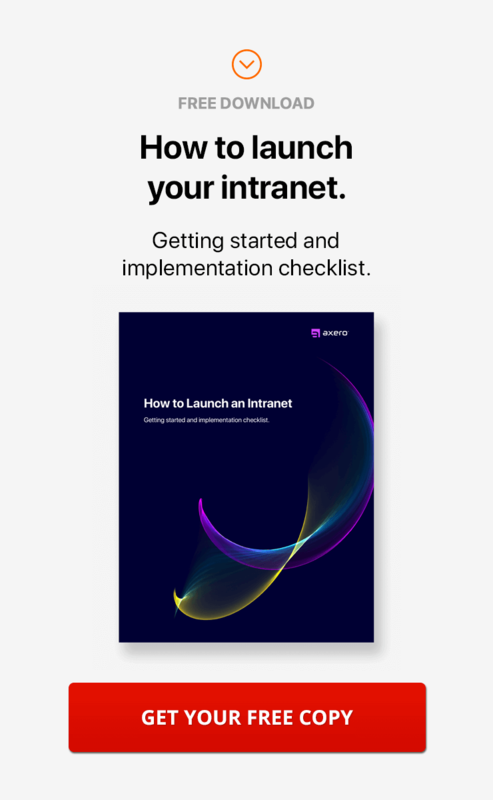 Regardless of what the future brings, there's never been a better time than now to improve your business with a company intranet. The sooner you implement social business software into your company's infrastructure, the more you and your employees will benefit. Have a question about how social business software can help you? Let me know, I'd be happy to help you.